The bottle features a new, efficient and sports-like design. Its standard 74 mm diameter means you can use it with all traditional bottlecageson the market. 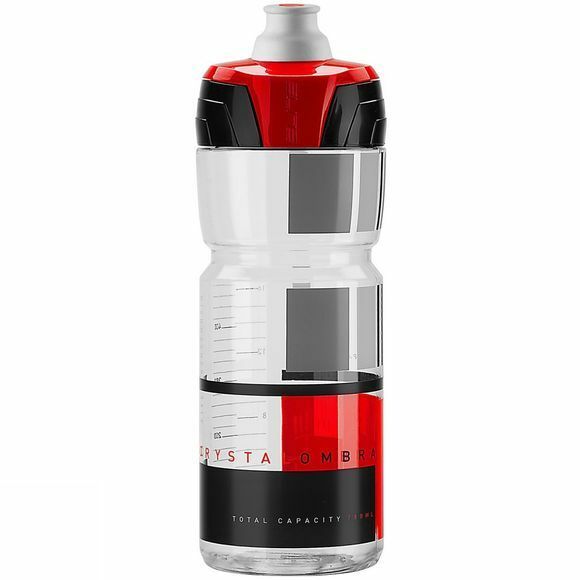 The bottle has a lowered upper part that improves stability inside the bottlecage while cycling, so you won't hear those annoying vibrations caused by the friction between bottlecage and bottle. It also guarantees a firm grip on the bottle under any circumstance (cross country, dirt roads and so on).